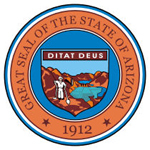 OneSource Employment Solutions is a proud staffing partner of the State of Arizona and all of it’s related agencies, entities and departments. Additionally this includes and is utilized by any of the Co-Operative partners of the State of Arizona, and ANY other government agency or entity where their purchasing, buying or procurement rules allow. Please Contact Us if you are not sure of eligibility and we will confirm and guide you through the process. Below we have listed only main types of position titles and areas staffed under the contract. If you do not see what you are looking for PLEASE contact us most likely we do staff those areas. Go to the ProcureAZ website to see the contract rates, information and terms of the contract. Contract number is ADSPO13-043955.